Elgin Baylor Lumpkin (born October 15, 1970), better known by his stage name Ginuwine is an American singer-songwriter dancer and actor. 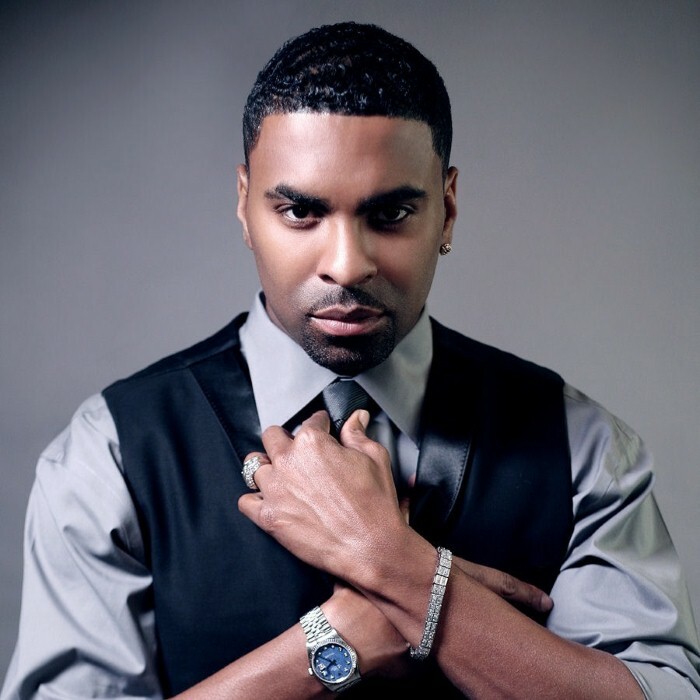 Signed to Epic Records since the mid-1990s, Ginuwine had released a number of multi-platinum and platinum-selling albums and singles, becoming one of R&B's top artists during the late 1990s and early 2000s . Leon Youngblood, manager of one of the vocalists featured on the album, told George Varga in an interview with the Union Tribune Newspaper that the album "was supposed to be billed as a 'Ginuwine Presents' album" " Youngblood stated "the album did very well, it's the first time I worked with anyone who cracked #50 on the billboard charts, I'm very proud of that fact." Ginuwine can be spotted in one of Jodeci's videos. He, later, sang the chorus on Danny Boy's "Slip N Slide". There, he met rapper Melissa "Missy" Elliott and producer Timothy "Timbaland" Mosley, who became his main collaborators through the 1990s. Ginuwine's first single, (written by Static Major) the 1996 "Pony" from Ginuwine...The Bachelor, showcased his smooth vocals and Timbaland's innovative production style, and the two became a hit-making duo. The song "Pony" was used in a "karaoke" scene from the film Wild Hogs in 2007 and again used in the video game Grand Theft Auto IV in 2008. Mike Patton and Rahzel together perform a cover of "Pony" during their concerts. Ginuwine covered Prince's "When Doves Cry" single from the movie soundtrack to Purple Rain. After his second album, 100% Ginuwine, was released in 1999, Ginuwine and Timbaland grew apart. Producers such as R. Kelly have crafted hits for him since then. In 2001, Ginuwine had a number-four hit on the Billboard Hot 100 with the single "Differences", which also peaked at number-one on the Billboard Hot R&B/Hip-Hop Singles & Tracks chart. Within a year, Ginuwine lost both of his parents. He later wrote a song which is featured on his album The Life entitled "Two Reasons I Cry". In 2002, Ginuwine was a feature artist on P. Diddy's number-one hit "I Need a Girl (Part II)". Later that year, Ginuwine started his own label, Bag Entertainment. The label would feature artists such as Jose Cenquentez (who appeared on The Senior) and Knight. Ginuwine's fifth album, Back II Da Basics, was released on November 15, 2005. The album debuted at number 12 on the Billboard 200, selling close to 100,000 copies. Ginuwine stated on BET's Top 100 countdown that the album went Gold with sales of 500,000 copies. In May 2007, an album entitled I Apologize was released in stores. Although attributed to Ginuwine, the release was an unauthorized album and included only three Ginuwine songs - apparently from stolen masters - and ten songs by other artists. Ginuwine spoke against the unofficial release on both his MySpace page and through YouTube. In 2007, Ginuwine collaborated with Canadian hip-hop artist Belly in the latter's debut solo song "Pressure", which was featured in Belly's debut album the Revolution, released in June 2007. Ginuwine's sixth album entitled A Man's Thoughts, was released on June 23, 2009. The album was produced by The Underdogs, B Cox, Timbaland, The Runners, Johnta Austin, Oak and Polow Da Don. The album includes guests appearances from Brandy, Missy Elliott, Bun B and Timbaland. Ginuwine formed a group with Tank and Tyrese named TGT. Their first single was a remix of Tank's "Please Don't Go". They were supposed to tour but plans fell apart due to conflicting schedules. Ginuwine announced on his Myspace Blog on August 21, 2008 that due to label and legal issues, they will not be able to release an official TGT album. Ginuwine is the founder and CEO of LoveSong Incorporated, after completing his contract with 550 Music/Epic. Ginuwine announced on his Myspace blog on August 21, 2008 that he signed a major label deal with Notifi Records/Warner Brothers. Ginuwine introduced producer MELROG and rapper Young Knight a.k.a. Knightron on the Back 2 Da Basics album. Currently Knightron is working on his own album under Ginuwine's label BAG ENT. Elgin will be released on Valentine's Day 2011.